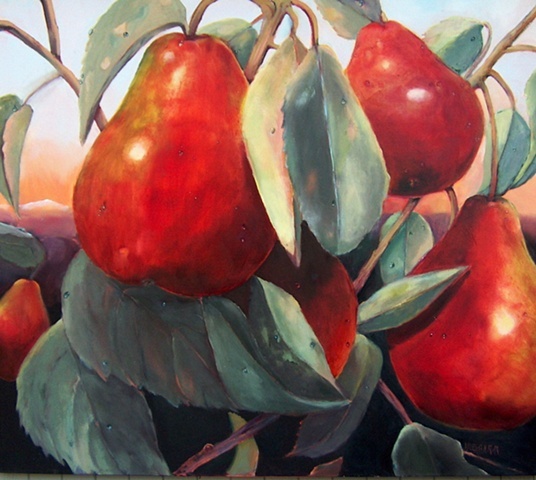 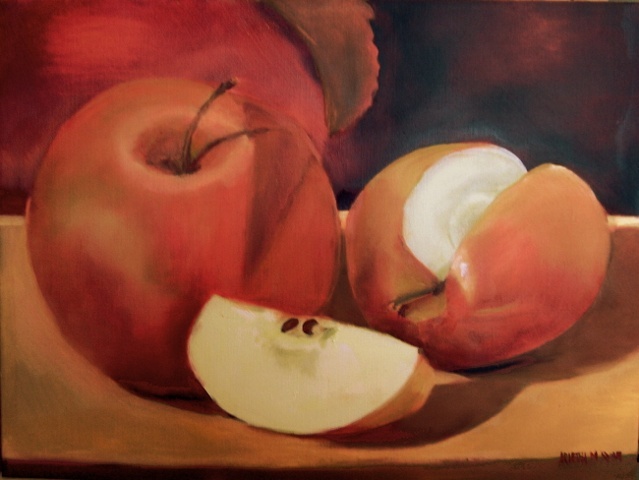 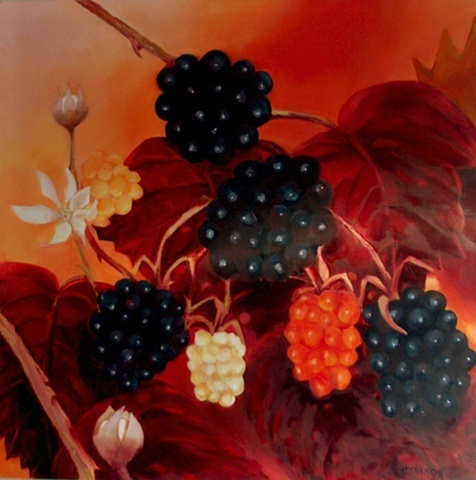 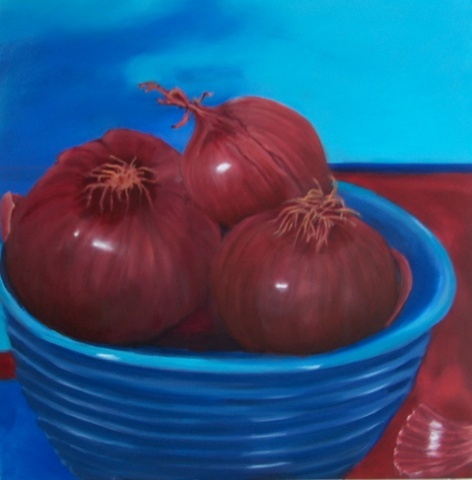 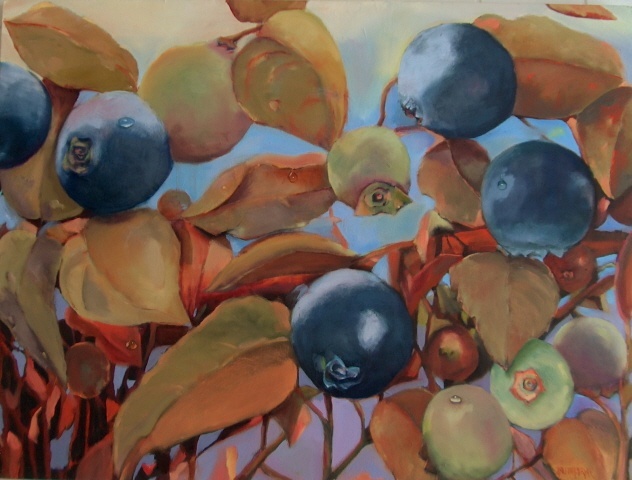 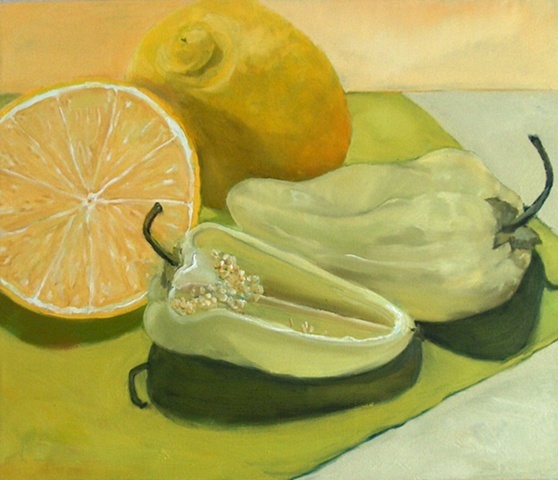 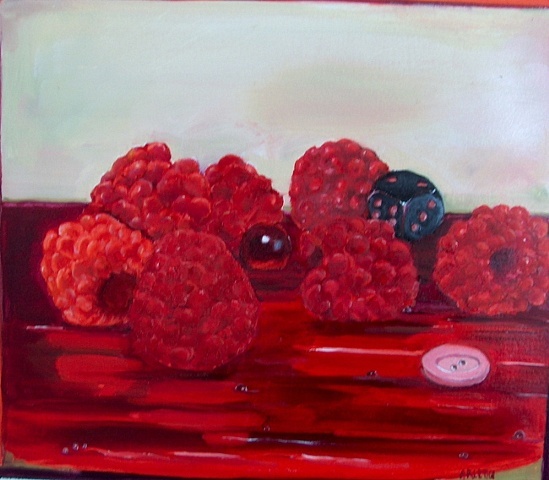 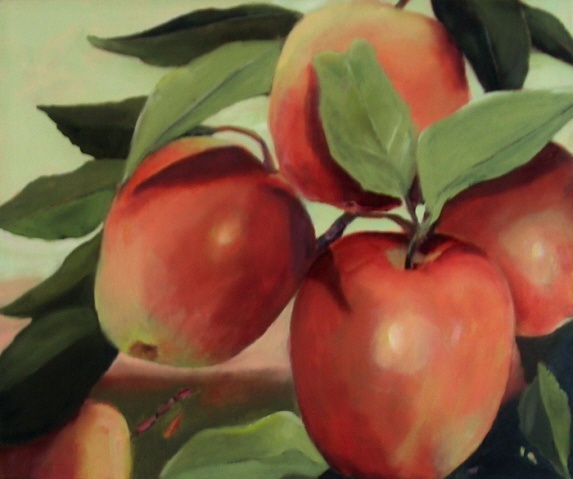 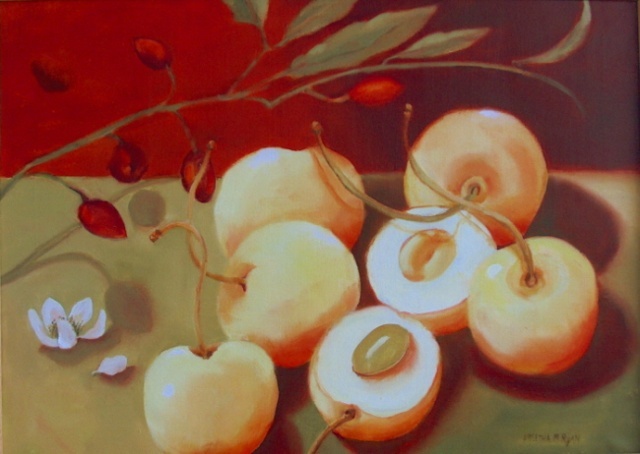 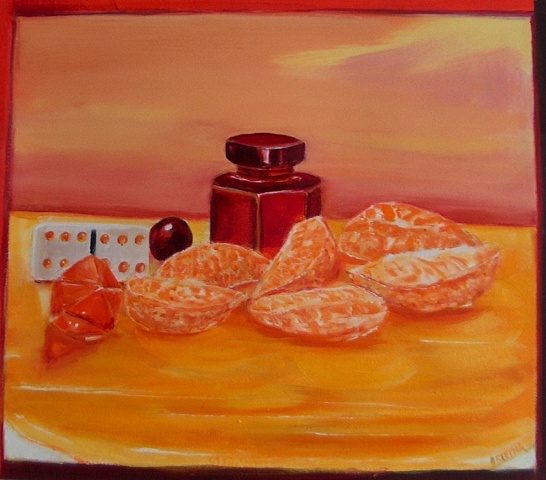 The fruits and vegetables are usually in my studio when I start a painting. 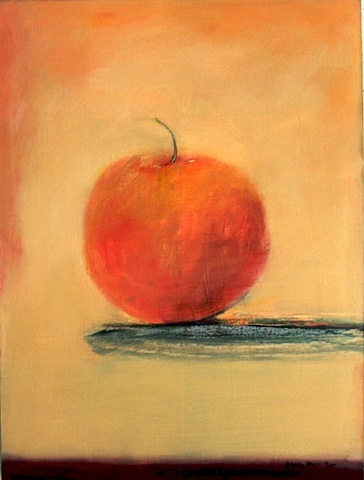 Then there is a waiting place until the painting dictates what is needed. 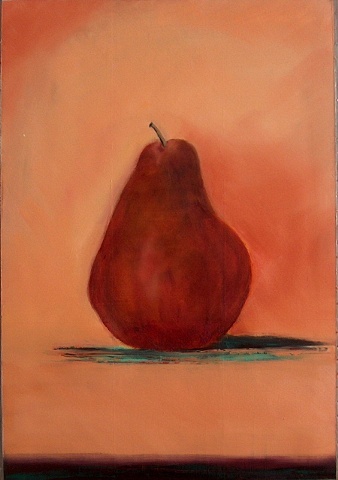 I seek a simple resolution to capture the essence and natural elegance. 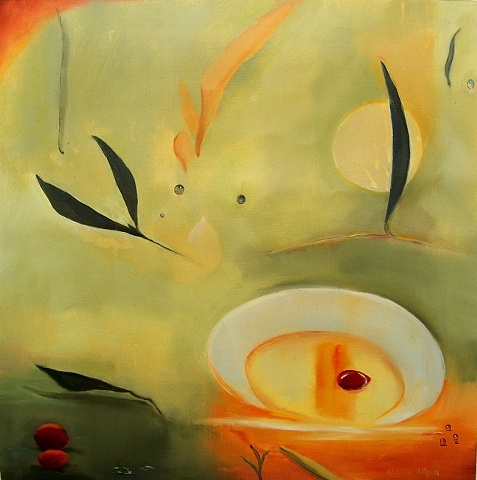 "EVOO - Extra Virgin Olive Oil"